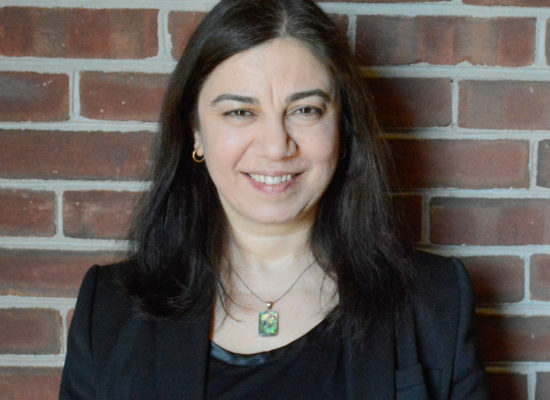 Dr. Sevgi Erdoğan is an Assistant Research Professor at the National Center for Smart Growth Research and Education (NCSG) and an affiliate of Maryland Transportation Institute of the University of Maryland, College Park. Dr. Erdoğan’s research focuses on the complex inter-relations among human infrastructure, socio-economic activity, and the environment. Her research contributions have been in the broad areas of transportation systems analysis, sustainable transportation and logistics, and integrated transportation, land use and environment models. She specializes in the following fields: network modeling and optimization; travel demand management with emphasis on pricing and energy efficient transportation alternatives; dynamics of travel behavior; alternative fuel vehicles and fleet operations; emissions mitigation; sustainable and resilient transportation systems; emerging transportation technologies and smart cities, e.g. mobility as a service, on demand transportation, autonomous and connected vehicles; integrated land use and transportation planning; integrated modeling of transportation, land use, and environmental models; transportation policy, urban growth and environment. Her most influential work has been the introduction of the green vehicle routing problem, which helped pave the way for research in the field of alternative fuel vehicle (e.g. electric vehicles) fleet operations and infrastructure design. Dr. Erdoğan leads efforts in megaregional and statewide transportation model development and applications on e.g. sustainability, smart growth policy, and mobility analysis at the NCSG. Her recent research focuses on incorporating emerging transportation technologies and methods such as Autonomous and Connected vehicles (AV/CVs) and shared mobility into existing modeling frameworks. Her research has been funded by various agencies, including, National Science Foundation, Federal Highway Administration, U.S. Department of Transportation, Maryland State Highway Administration, Greater Washington Partnership, Maryland Departments of Transportation, Health, Environment and others. Dr. Erdoğan has authored approximately 30 peer-reviewed journal articles and conference proceedings, 15 technical reports, about 35 invited talks and conference presentations. She serves on the editorial advisory boards of the Transportation Research Part E: Logistics and Transportation Review, and Urban Planning, and as a member of the Transportation Research Board’s standing committee on Network Modeling (ADB30), Emerging Technologies in Network Modeling (ADB30-5) subcommittee and Statewide Travel Demand Forecasting subcommittee (a joint subcommittee of Multimodal Transportation Planning Committee (ADA10) and Transportation Demand Forecasting Committee (ADB40)), and a referee for over 20 academic journals. Dr. Erdoğan received her Ph.D. degree in Civil Engineering at the University of Maryland specializing in transportation. She received her M.S. degrees in Operations Research from the University of Delaware and in Civil Engineering from Istanbul Technical University, and B.S. degree in Geodesy and Photogrammetry (now Geomatics) Engineering from Istanbul Technical University. She received Women in Transportation Seminar’s DC Chapter Doctoral Student Scholarship in 2007.